Installing tile requires a lot of planning. Before the actual exciting part of selecting tile, many factors must be considered that can influence the price and product for your project. Of course square footage is an important element. Tile is typically sold by the square foot, and occasionally by piece. Field tile is referred to as the tile that will cover the majority of the tiled area, and usually is a homogenous piece (rather than a mosaic made of smaller tiles, mounted to a mesh backing). 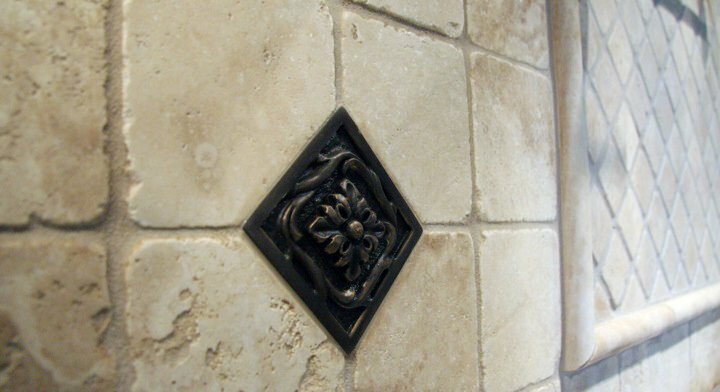 Available in almost any size under the sun (most common being 12”x12” = 1 square foot), and usually the most affordable option, they aren’t designed to be especially interesting on their own, especially when installed in a prime location such as a backsplash. 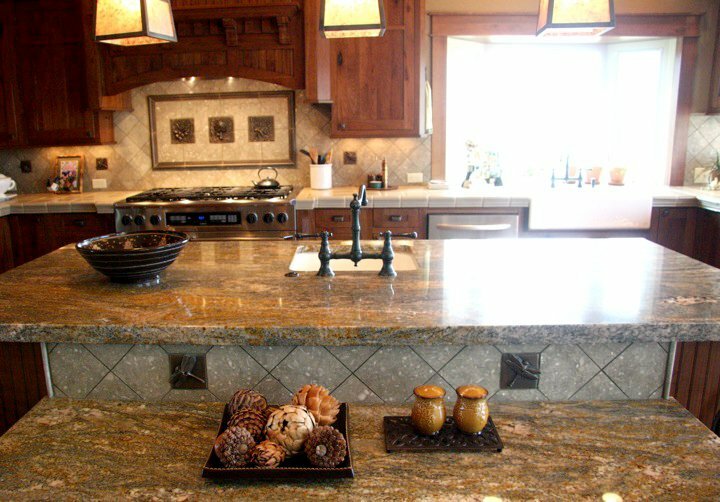 However, using a field tile to anchor a backsplash design is a great way to stretch your budget. Here are a few tricks to consider. Decos – Known in the tile trade as “Decos,” short for Decorative pieces, these individual tiles can make a big impact on the design. They take a bit more planning before installation, and on their own can be a bit pricey, however we believe they lend a simple way to inject a bit of creativity or style to an otherwise low-key backsplash. Typically sold by the piece. Decorative tile installed in field tile design. Using decos to repeat design elements between backsplash & breakfast bar. Decorative tiles are often made of metal, resin, or ceramic with a range of finishes and colors. This particular design features a dragonfly. Creating a focal point behind the range using liners & decos. Liners - Liners offer a visual delineation between field tile and accent areas. Sometimes, changing the pattern of the tile setting can create sophisticated and subtle interest. 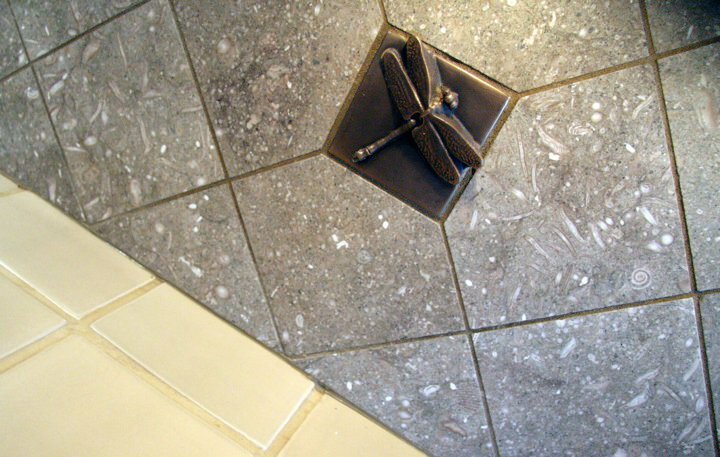 Often, using a liner of a different material, whether it be glass, metal, or even using another tile color of the same material creates a visual line and a natural opportunity to make this change. Liners can also be used as trim pieces in place of bullnose. Often sold by the piece or lineal foot. Just a few rows of mosaics (approximately 4-5 inches) can lend a strong visual and can also be an effective budget solution. Often, a sheet of mosaics can be cut into several strips, giving you several lineal feet. One tip- Look for a mosaic that is similar depth as your field tile, and has an equal number of rows (example: 12 rows of 1” tiles) to make installation easier. Using a band of mosaics cut from a 12"x12" sheet. The designers at United Floor Covering can help you come up with the perfect tile design. Call 509-328-6736 today to set up an appointment!